Since 2011 we have been providing some of the best workshops aimed at photographers on all levels. We set a pride in finding the very best locations and at the same time have the necessary know-how to raise every participant level of expertise. We are an official Manfrotto Ambassador and endorsed by Alpine Labs, Visit Faroe Islands and YouPic. This means that we can provide our participants with a lot of extra services and products both before, during and after our workshops. We have a very simple mission with our workshops - share the fantastic experience of photographing some of the very best locations around the North Atlantic Sea. We want to share our experience from our photography company and give that experience / know-how to every single participant. 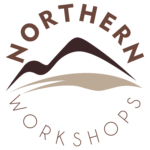 Our workshops accept all levels - from the beginners to experts - and promise to be able to develop each skill set no mather what starting level you enter the workshop on.